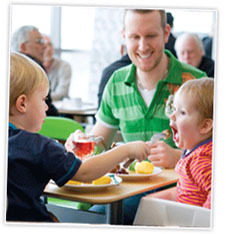 Get Free Meals for Kids on Tuesdays from IKEA. All you have to do is take you kids to your local IKEA and have them choose between three great combo meals. This deals is available Tuesday and it is going on from 11AM to Close. Kids must be 12 years of age and younger and must chose only one combo. Also there is a limit of one child, which means that if you have two or more children you should probably go there as a family and allow choose a meal individually (one per parent). Please comment to this post to let everyone know about your experience. Click on the post and the comment box will appear.